Merry Christmas and a blessed New Year to family, friends, and readers. Find out what’s new with author Peter Kazmaier and his writing. Inns, castles, and towers are part of the literary fare that make fantasy stories so interesting. The Prancing Pony in The Lord of the Rings, The Silver Swan in Robert Jordan’s The Eye of the World, and even The Phoenix in Steven Eriksen’s Gardens of the Moon provide a “home away from home” with good food, drink, and a place to meet new characters as part of a journey quest. These venues contribute much to the ambience of the story. Kathy and I had a chance to spend two weeks in Germany (Peter was on business, but we also had time to spend with family, sightseeing). 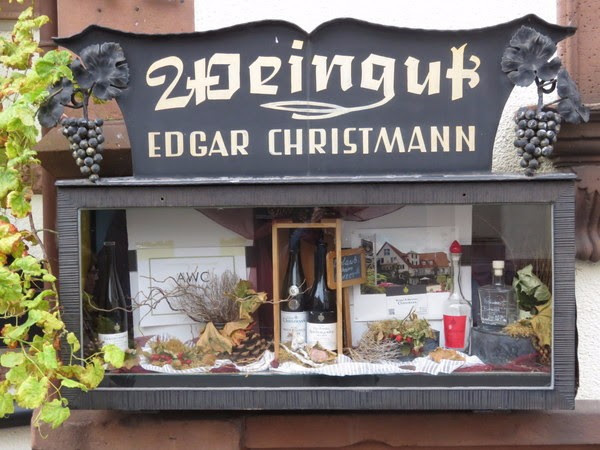 Germany, like England, has many traditional inns. The food was uniformly excellent, the beer fine, and the wine of a very high quality. My most recent book, The Battle for Halcyon, also has quite a bit of action that take place at an inn (The Golden Goose). It helps to add authenticity to writing if one can experience these fine establishments first hand. My next (fourth) book is called Descent into Abaddon and is the third in The Halcyon Cycle. 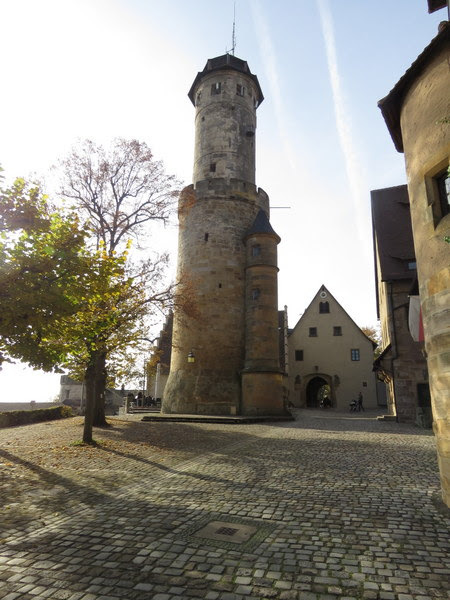 While in Germany I had a chance to visit a well preserved castle called Die Altenburg. 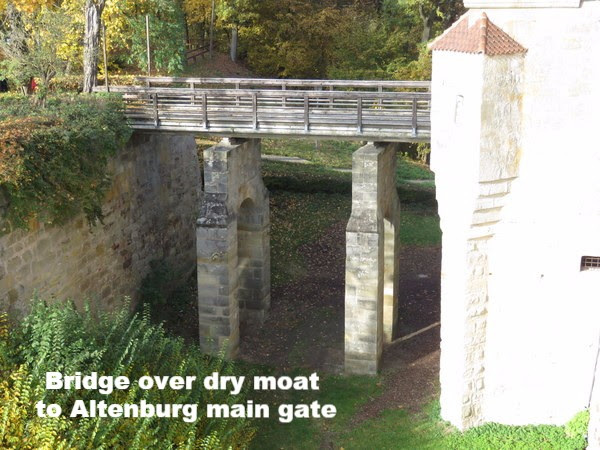 The header picture of this newsletter shows a bridge crossing a dry moat to the main gate of the castle. Inside there was a beautiful keep shown below. Both of these helped me imagine a fortress and keep in Descent into Abaddon which play a critical role in the adventures. The tower in Descent into Abaddon is much bigger than the one pictured below, dwarfing the walls of the Abaddon fortress. 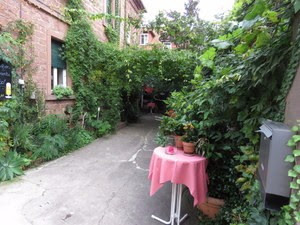 Travelling in Germany seems to make writing easier (especially if you write science fiction that reads a lot like fantasy) and I’ve come back with renewed enthusiasm to get my next book finished. Reconnecting with friends is one of the things I like best about sending out these periodic newsletters. If you have a few moments during this busy season, please send me an email note and let me know how you’re doing. Merry Christmas! As you may have noticed, although my books are published by Word Alive Press, they are also listed under Wolfsburg Imprints. 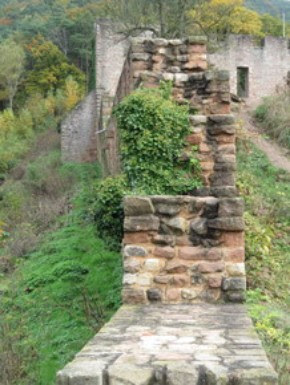 The name is derived from a castle ruin, depicted here, in south western Germany. With the uncertain and ever changing world of book publishing, it seemed like a good idea to have one place where all my books can be found and listed. I am deeply grateful for your encouragement, your reviews, your book ratings, and your interest in my writing. Why not check out my author page at on Facebook and Amazon, read reviews on Goodreads, and follow me on twitter. Kay MacLeod, a fantasy writer from England, has put together writer’s advent calendar, featuring two writers per day up until Christmas. My book, The Halcyon Dislocation will be featured on December 19th. Why not check out her site and see the creations of the many fine writers featured. You can even vote on your favourite featured book and have a chance to win a free copy. 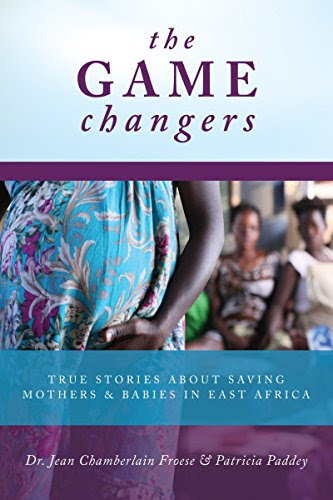 The Game Changers is a powerful and moving book that gives a snapshot of the lives of key leaders, healthcare workers, and teachers in Uganda as they struggle to solve the huge problem of mother-and-child deaths during pregnancy and delivery. Through the lives of front-line workers, Dr. Jean Chamberlain-Froese (the founder of Save The Mothers) and Patricia Paddey (a journalist) provide heart-wrenching accounts of the magnitude of the problem as well as a look at the courageous men and women who are working to solve it in East Africa. This brilliant book by William A. Dembski on specified complexity and the implications for intelligent design is a superbly written book that follows his other seminal work, The Design Inference. Dembski comprehensively analyzes the criticisms levelled at the arguments made in The Design Inference and then graciously explains in great detail why these counter arguments are flawed. The wealth of information in this book and the breadth of subjects covered, mean that reading only a few pages at one sitting gives me a great deal to think about. I read all five volumes of Jim Butcher’s Codex Alera fantasy series this summer and really enjoyed the some 3000 pages of action-packed adventure. Butcher, better known for The Dresden Files, shows great imagination and each volume follows seamlessly from the last. If you like fantasy linked to a roman legion setting, then I think you might like this series (particularly if you like long series with many characters and intricate plot lines as I do). Copyright © 2016 Wolfsburg Imprints, All rights reserved. Many of you have been asking me how my writing has been progressing and I wanted to provide you with an update.